Online gambling offers fans of chance and fortune a great opportunity to lay bets on a whim from the comfort and convenience of their own homes. But while meeting up with Lady Luck in the depths of cyberspace can be fun – not to say rewarding – it’s no trip to Vegas. In Sin City, huge casinos light up the night sky, neon signs gleam along the strip with unmatched allure, and the sights and sounds are electrifying. 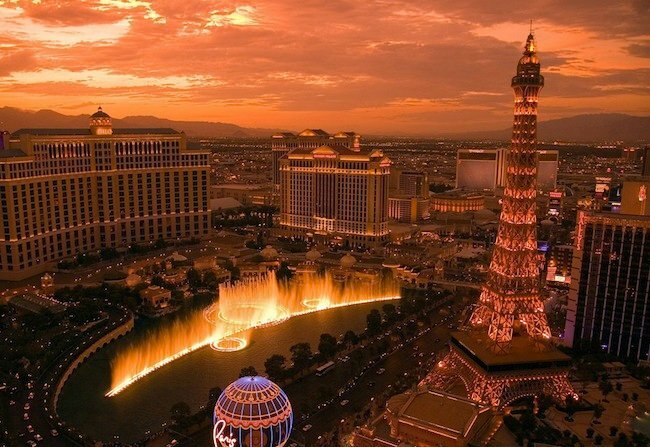 Aside from the gambling, Las Vegas remains a hub of world-class entertainment. 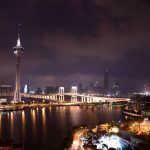 With iconic landmarks, live shows and world-famous hotels, it’s more than just a one-stop rendezvous with serendipity. 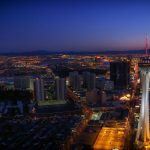 And if you’re still not convinced, these aerial shots of Las Vegas icons are dazzling reminders of just how much the city has to offer. No Vegas experience would be complete without a walk down the famous Las Vegas Strip. The roughly four-mile stretch from the Mandalay to the Stratosphere (a site included by most Strip tour guides) engulfs the senses. The sprawling casinos are lit up like beacons, music thunders from all directions, and car horns blare. It’s like entering an alien world full of new aromas, sounds and sights – and it can get quite overwhelming on a first visit. 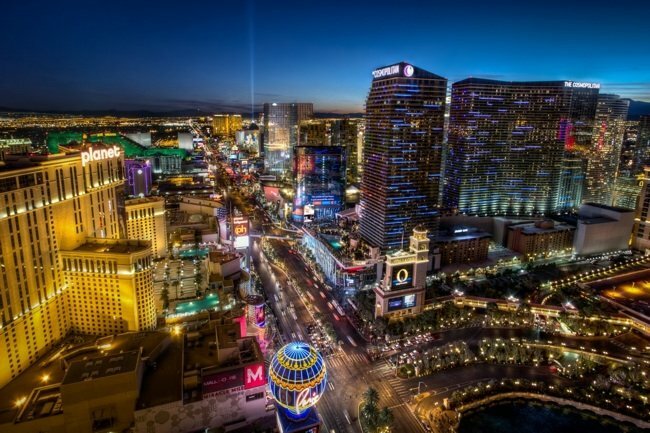 Not only is a walk down the Strip a thrill in itself; it’s also an excellent opportunity to scout out all the casinos and plan your next move. Paris Las Vegas’ Eiffel Tower replica is a must-see. 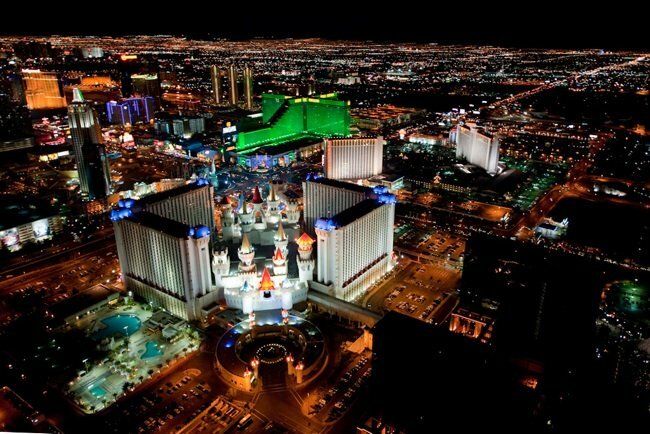 Take a break from gambling and enjoy the Eiffel Tower Experience, climbing the 50-story-high icon of the Vegas skyline. 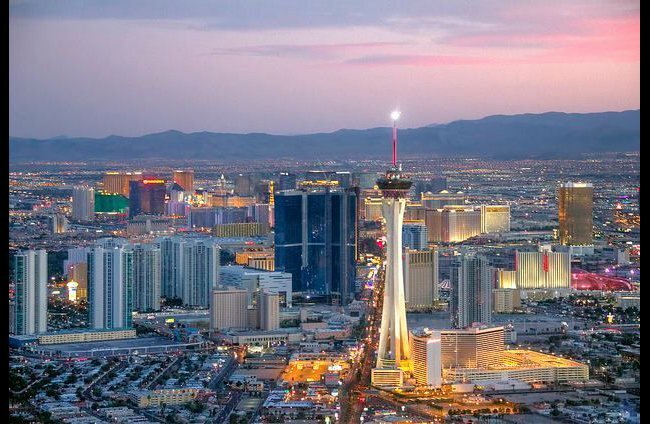 Although it’s only half the height of the original, the Las Vegas version of the famous tower is definitely high enough to offer visitors a stunning panoramic view of the city. You can ride to the top in a glass elevator, stroll around the observation deck, and dine in a luxury restaurant 100 feet up in the air. The change in perspective is bound to be refreshing, providing an opportunity to see Vegas’ eye-catching casinos from a completely different angle. This incredible reproduction of the Great Sphinx of Giza is an astonishing 110 feet high. It’s part of the distinctive, pyramid-shaped Luxor Las Vegas casino and hotel (pictured in its entirety below). Along with the hotel’s 140-foot obelisk, it’s a sight you won’t want to miss – from the ground or by air. 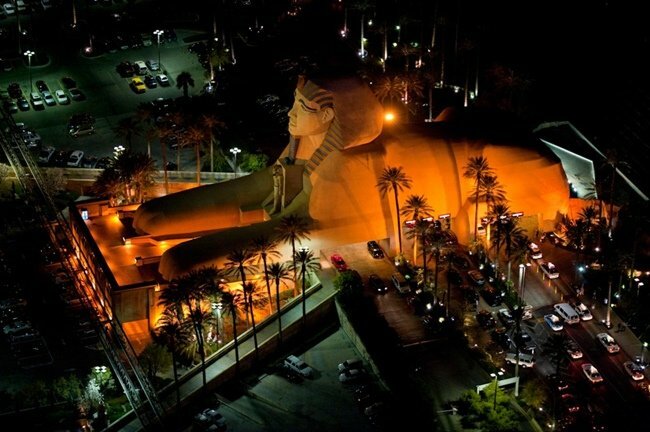 Vegas’ version of the mythical creature is two stories higher than the original Egyptian statue, so it certainly makes an impression. If you’re on the ground, take a trip on the Strip monorail, which passes directly in front of the amazing structure. Interestingly, the venue’s basement held a replica of King Tutankhamun’s tomb and treasure, until it was given to a museum in 2008. The glowing green windows of the MGM Grand make this iconic Las Vegas casino and hotel stand out from the galaxy of lights surrounding it. The casino is home to one of the biggest gaming floors in the city, making it a paradise for gambling enthusiasts. 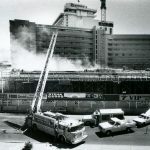 Opened on December 18, 1993, the casino boasts over 2,500 machines and 139 poker and table games. 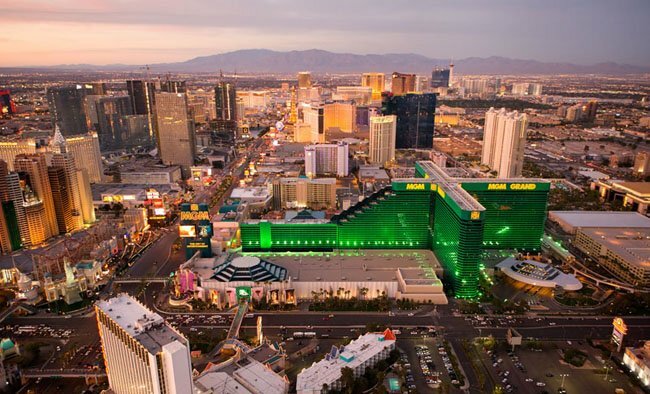 The massive resort also hosts Cirque du Soleil’s performance of Kà, Brad Garrett’s Comedy Club, and multiple shows at the MGM Grand Garden Arena. With 19 different restaurants, five outdoor swimming pools, rivers and waterfalls, it’s like a city within a city. 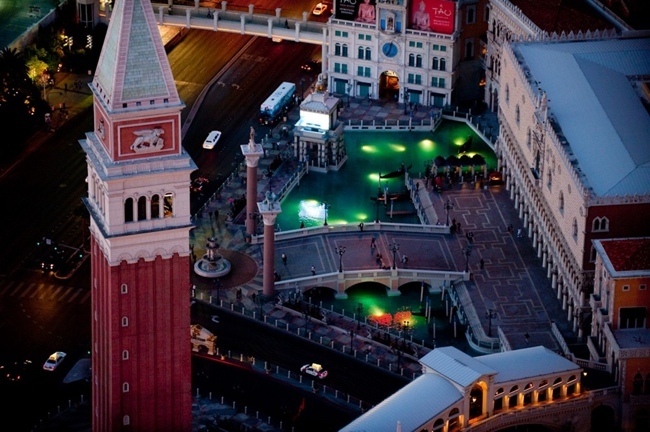 The Venetian hotel and casino (pictured here from a lofty perspective) features two canals that give it the European ambiance of one of Italy’s most famous cities. The larger canal holds 536,000 gallons of water, while the smaller one holds 278,000 gallons. The resort offers gondola rides, shopping, sightseeing tours by helicopter, and a spa. Plus, the locale offers the usual gamut of gaming options – from slot machines and baccarat to Pai Gow poker. 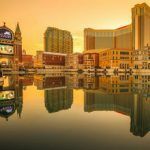 According to one website, although only 13 percent of Las Vegas visitors say they plan to gamble, 87 percent end up trying their luck, which proves just how compelling and intoxicating the environment can be. With its lake and dancing fountains, few Las Vegas attractions are as famous as the Bellagio hotel and casino. 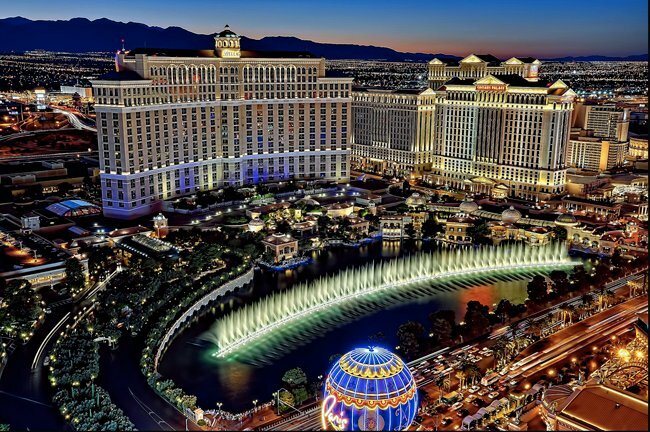 Featured in movies like Ocean’s Eleven and Rush Hour 2, the Bellagio is known for its elegance and luxury. The fountain show in front of the hotel plays from the afternoon until midnight, accompanied by lights and music. On the game-playing front, the casino is a favorite spot for professional poker players, who often refer to the casino as “The Office.” The table limits are high, and stakes at the legendary Big Game (played in “Bobby’s Room,” which gets its name from Bobby Baldwin) can reach as high as $8,000 – with the pots having allegedly far surpassed the $1 million mark. The casino also houses the Cirque du Soleil aquatic production of O, a fine art gallery, and a feature made from thousands of hand-blown glass flowers. 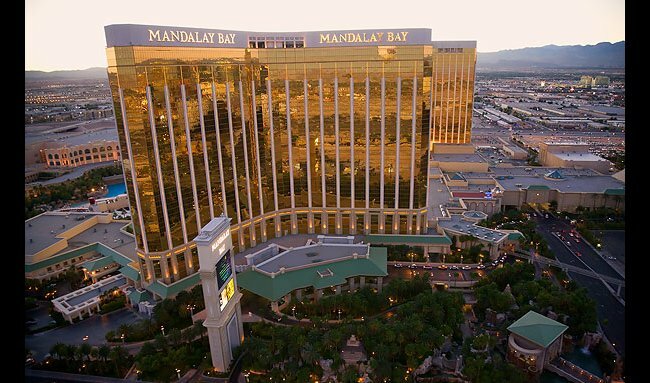 Mandalay Bay hotel and casino shines in the light thanks to all the gold leaf on its windows, adding even more shimmering brilliance to the Vegas skyline. The resort’s gaming environment covers a staggering 135,000-square-foot area. Mandalay Bay’s beachside casino allows bikini-clad, flip-flop-wearing gamblers to try their hand at craps, blackjack and roulette. Even the dealers are similarly attired, and during the summer heat, players can enjoy Mandalay Bay’s Beach Concert Series without missing an iota of playing time. The Mandalay Bay also houses the LIGHT Nightclub, the House of Blues Music Hall, and the Shark Reef Aquarium. 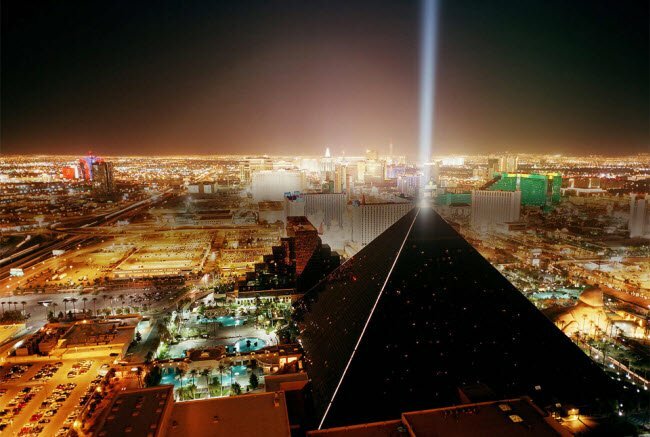 The 30-story-high black pyramid of the Luxor Las Vegas hotel and casino resort lights up the night sky with its 42.3 billion candlepower Sky Beam – said to be the world’s brightest beam of light. The beam is visible from planes as far away as the airspace over Los Angeles, and it adds a distinctive strip of blue to the glittering Vegas panorama. The casino has an area called The Party Pit, where girls dance on stage; a high-limit area; and a poker room that features regular tournaments as well as giveaways, table games and slots. What’s more, the nightlife at the Luxor includes swanky clubs such as Savile Row and the High Bar. So whether you’re a seasoned gambler, or just keen to try it out for the first time, a visit to Vegas is a not-to-be-missed experience.